Yes, it’s lunacy. I don’t have any excuse for signing up for yet another reading challenge, except that I’ve been wanting to read the Sookie Stackhouse series for a while now. So when Beth Fish Reads announced the Sookie Stackhouse Reading Challenge, I knew I just had to join in on the fun. Here are the rules: Between July 1, 2009, and June 30, 2010, catch up on Charlaine Harris’s Southern Vampire series. No matter if you’re starting with book 1 or book 8, you have a year to read all about Sookie. Read Sookie in print, listen to the audio, read an eBook — format is not an issue. I was assured by a few people on Twitter last night that these books are fast, fun reads. So I’m really looking forward to this. And here’s a bonus: Melissa’s Bookshelf has a giveaway of the boxed set containing the first seven books in the series! The giveaway ends July 5, and it’s open worldwide. Very nice! Interested in doing the challenge with me? Hop on over to the official challenge sign-up post and add your name to Mr. Linky. In July, Beth F. will put up another post where you can go to link to your reviews and keep track of your progress. This entry was posted in Books and Reading and tagged Charlaine Harris, reading challenges, Sookie Stackhouse on June 17, 2009 by Belle. Every week I come across interesting links that aren’t reviews, but more along the lines of book talk and book news. They can run the gamut from new releases, fun book thoughts and sometimes things that are only marginally book-related. So I’ve decided to post them each Saturday, and since I’m not feeling particularly creative today, the only name I could think of was “Saturday Links”. So Saturday Links it is! Stephen King: Best Books of ’08: Several books here that I want to read – Joseph Wambaugh’s Hollywood Crows, Kate Atkinson’s When Will There Be Good News?, Stef Penney’s The Tenderness of Wolves and the novels of Robert Goddard. 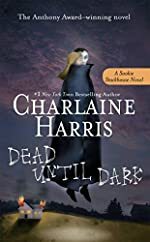 Excerpt from Charlaine Harris’ upcoming Sookie Stackhouse novel, Dead and Gone, found via Urban Fantasy Land: I’m tempted to start the Stackhouse series with Dead and Gone, instead of going back to the beginning. Twelve Days of Giving: Books for Twilighters: I haven’t read the Twilight series yet (they’re in my TBR), but I liked this list of gift suggestions for fans of Twilight. I’ve read Meg Cabot’s Mediator series which I enjoyed very much. And I’m adding Demon in My View to my TBR. This entry was posted in Books and Reading and tagged Charlaine Harris, mysteries, paranormal, reading fun, Saturday links, Stephen King on December 6, 2008 by Belle. 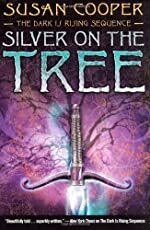 Hired to find a boy gone missing in Doraville, North Carolina, Harper Connelly and her stepbrother Tolliver head there – only to discover that the boy was only one of several who had disappeared over the previous five years. All of them teenagers. All unlikely runaways. Ms. Bookish’s Quick Take: An Ice Cold Grave is not a book you want to read in the middle of a dark stormy night when you’re at home all by your lonesome. It’s not that it’s a horror story – it’s more along the lines of a paranormal thriller – but there’s a grimness to it that seeps right into you. The plot involves a serial killer, and Harris’ descriptions are likely to get your imagination going down dark alleys of the mind you might not really want to venture down. This was a tense, fast-paced read that I consumed at a gallop. 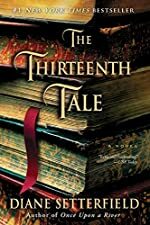 This entry was posted in Books and Reading, Reviews and tagged Charlaine Harris, good read plus, mysteries, paranormal on November 24, 2008 by Belle. I’m currently reading three books right now, all of which I will be reviewing later this week (or when I finish them!). 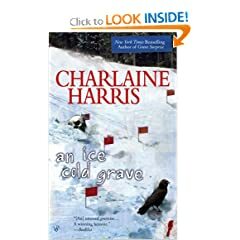 I started Charlaine Harris’ An Ice Cold Grave last night, and was in for a pleasant surprise. I had actually read the first in the series, Grave Sight, last year and had enjoyed it – but I’d forgotten the name of the author and hadn’t realized it was the first in a series (the Harper Connolly series). So far An Ice Cold Grave has been an engrossing read. 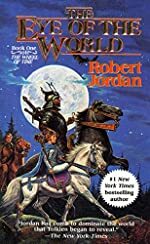 I’m a third of the way through, and I only put it down because it was so late and I knew if I kept at it, I would be finished the book but it would be 5:00 a.m., which really wouldn’t do. If I get a chance to get back to it today, I’ll likely be able to finish it. I’m also reading Alexander McCall Smith’s The Comforts of a Muddy Saturday. I really enjoy Smith’s Isabel Dalhousie series; I know they’re “mysteries”, but they’re very different from the mysteries I normally read. With Isabel Dalhousie, it’s not really so much the plot, but Isabel herself who is so enticing. I fell in love with her from the moment I read The Sunday Philosophy Club, the first in the series. The key to enjoying the Isabel Dalhousie series, I think, is to let go of the notion that they’re mysteries. 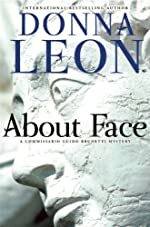 Yes, each book involves a mystery of some sort, but the book itself is very much driven by Isabel’s character, her philosophical inner talk about everything that happens around her, and the application of ethics to every day life. If you reach for a book in this series expecting a rousing mystery, you’d probably be disappointed. But Isabel herself is so loveable; she tries hard to look at the world without judgment, and reading about her is always so enjoyable. It’s the kind of book you savor, rather than reading through in a breathless gallop – both are wonderful experiences, and I always like to have a little of each in my current reading. The third book I’m reading right now is Beverly Bartlett’s Princess Izzy and the E Street Shuffle. The book quite surprised me when I first started reading. It’s written in something like the style of a biography, a Royal biography really, but with a chatty “talking to you, the reader” feel to it. This is the first book I’m tackling for the From the Stacks Reading Challenge. 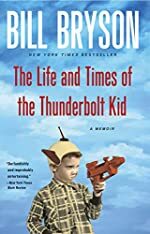 I’m finding that while the book is interesting and fun as I’m reading it, when I put it down, my memories of it are not engrossing enough for me to pick it up again. But I’d like to finish this one by the end of this week. This entry was posted in Books and Reading and tagged Alexander McCall Smith, Beverly Bartlett, Books and Reading, Charlaine Harris, chick lit, mysteries, paranormal, The Sunday Salon on November 23, 2008 by Belle.